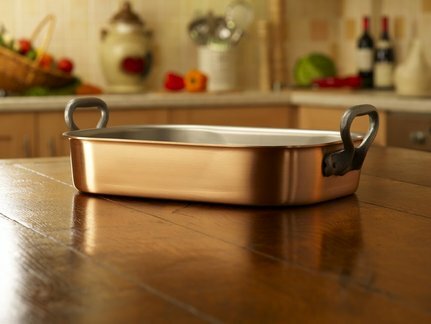 Like other FALK copper cookware, this masterpiece offers classical beauty with copper conductivity and stainless steel durability. It is ideal for roasting joints of meat and poultry. Also (with your help) it roasts beautifully crisp potatoes and other vegetables.